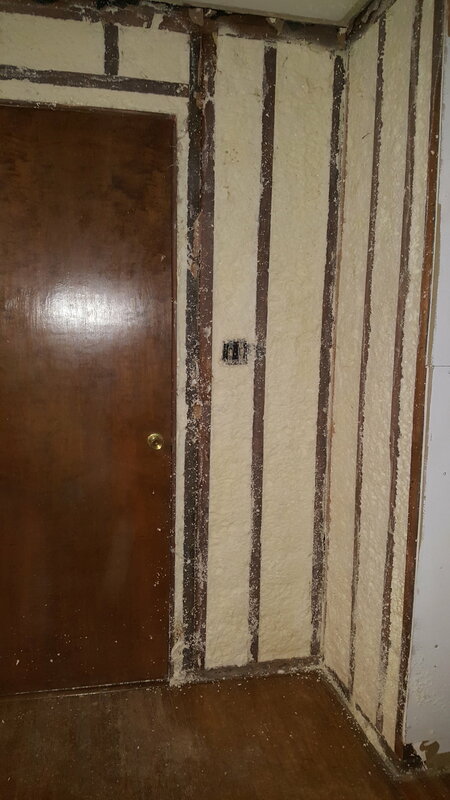 Residential Open Cell Spray Foam puts a comfort cocoon around your living space keeping heat in during the winter and out during the summer. 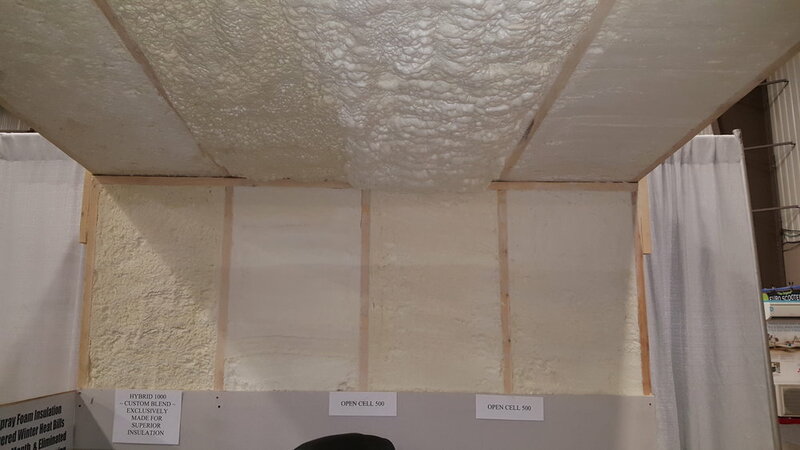 We use only the best spray foam products available. 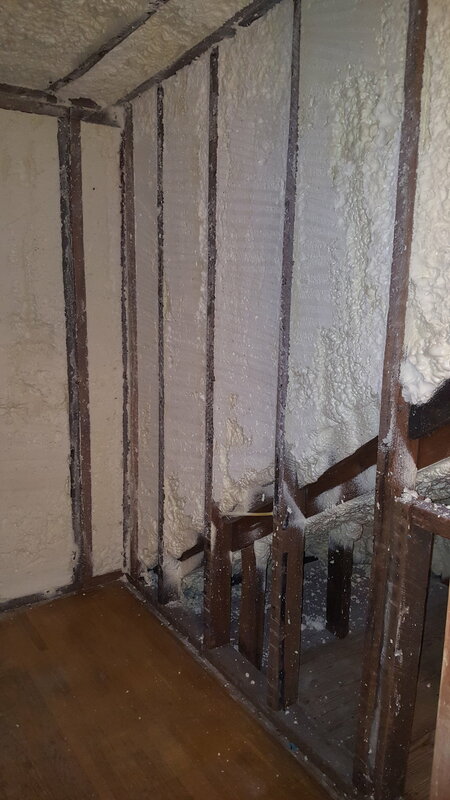 Residential Closed Cell creates a structural high performance air sealing thermal break between you and the elements. 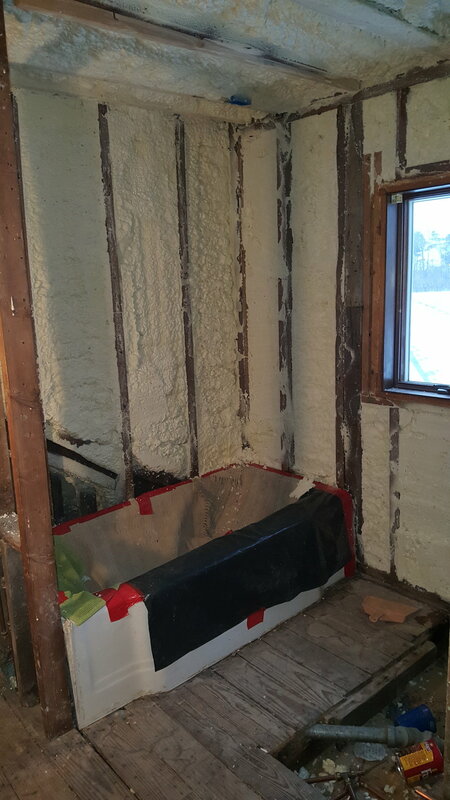 FEBRUARY 2017 - RESIDENTIAL OPEN CELL Residential open cell spray foam puts a comfort cocoon around your living space while keeping the heat in during the winter and out during the summer. 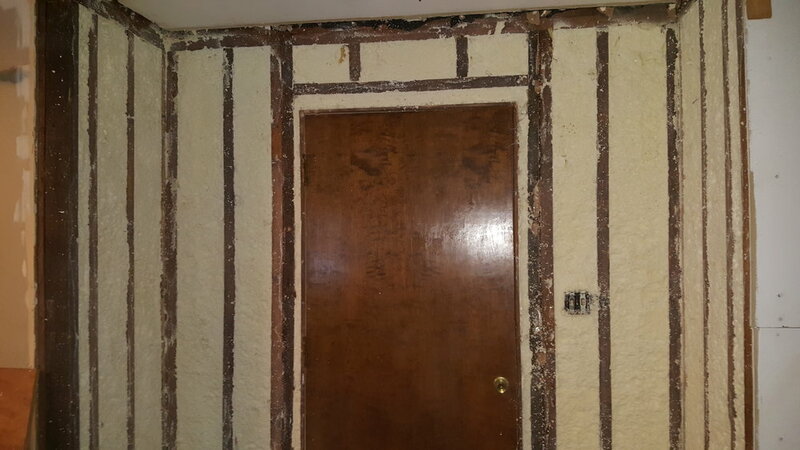 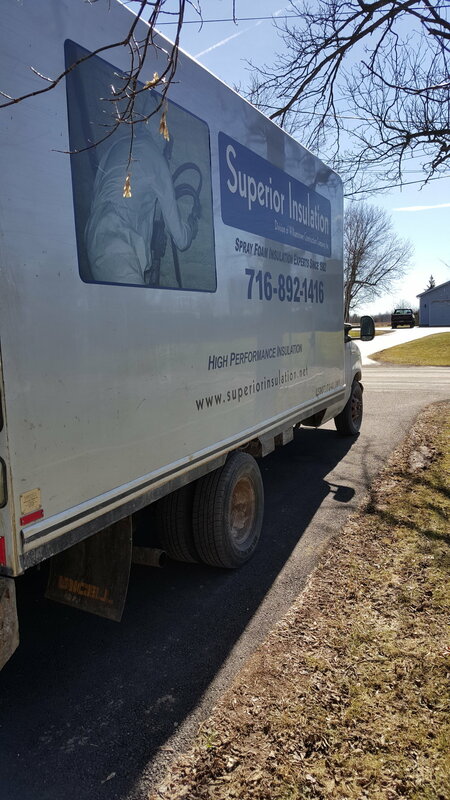 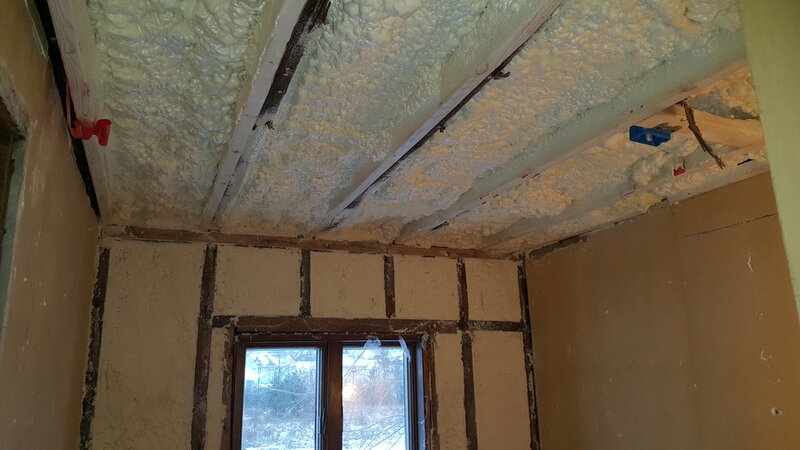 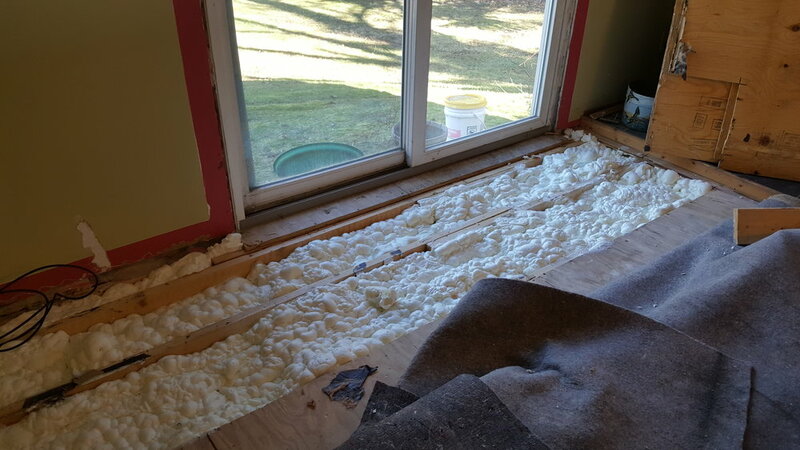 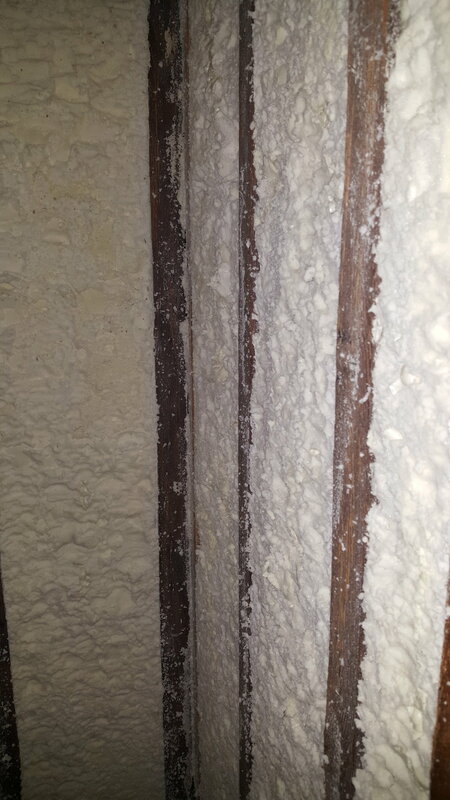 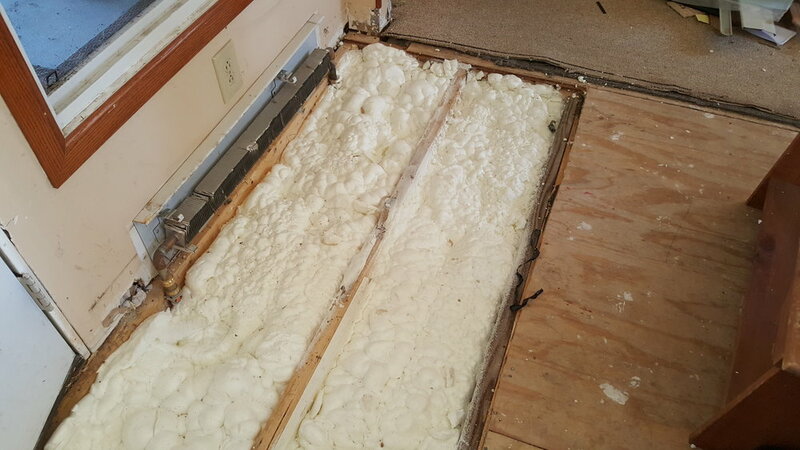 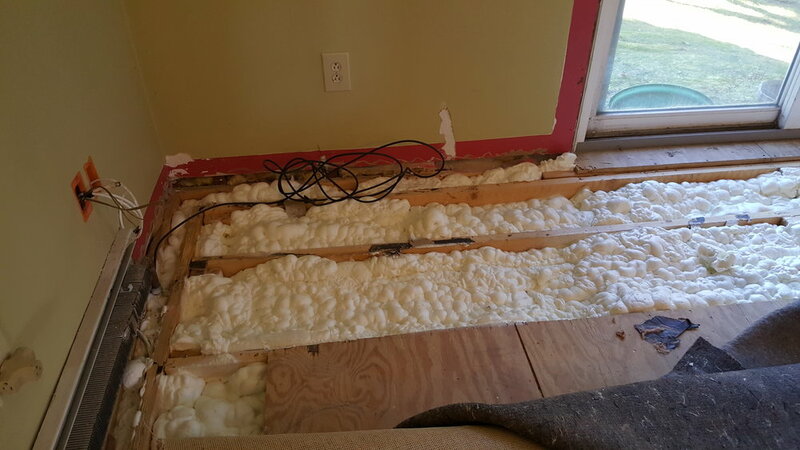 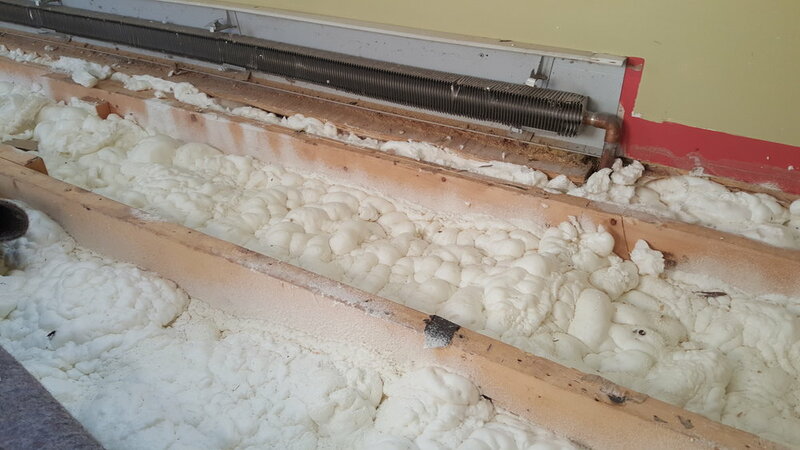 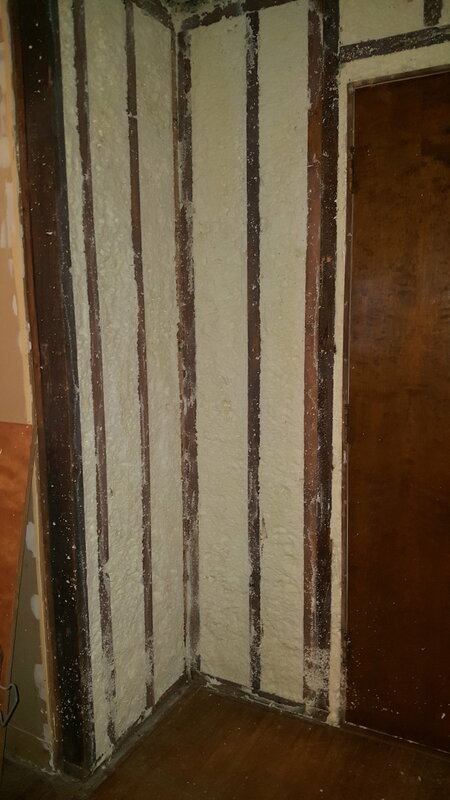 We ONLY use the best spray foam products, combined with the best technicians and we can beat those costly bills! 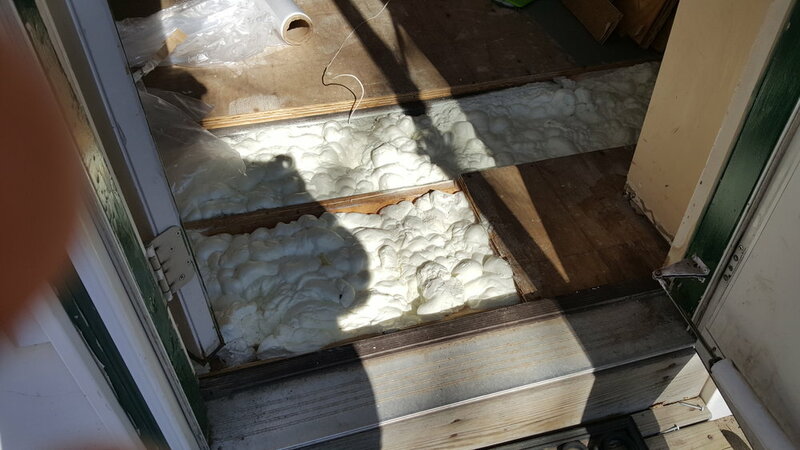 FEBRUARY 2017 RESIDENTIAL OPEN CELL SPRAY FOAM APPLICATION 1.0 lb Open Cell foam which is twice the density of 1/2 lb Open Cell (which is the industry standard). 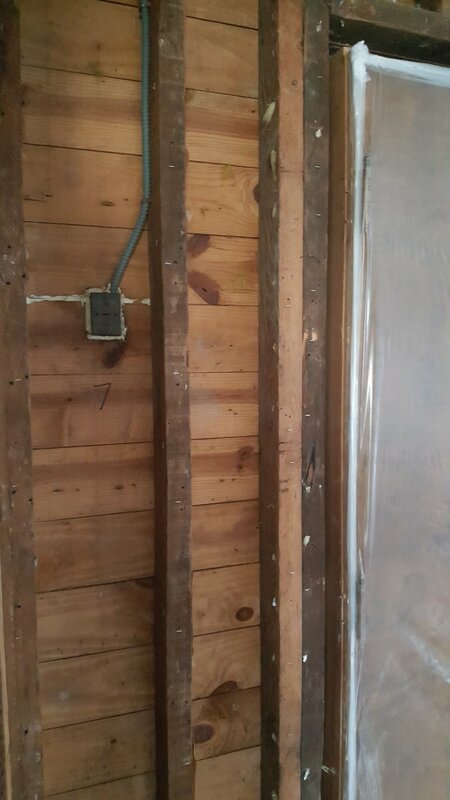 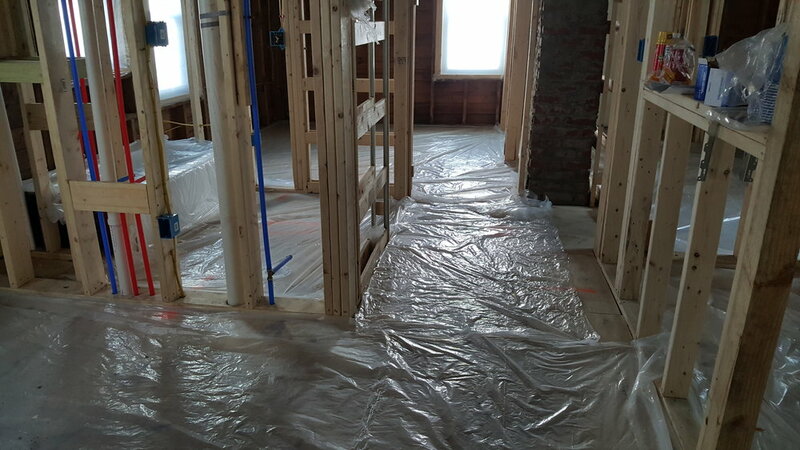 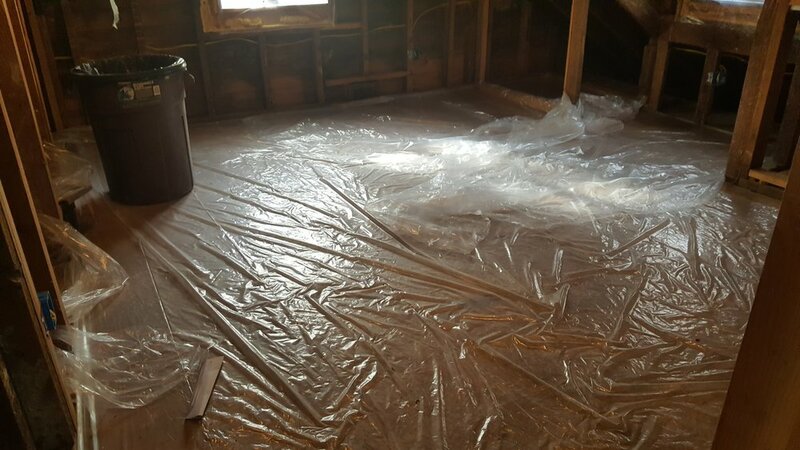 The advantage is the R-Value is higher but you get an air and vapor barrier. 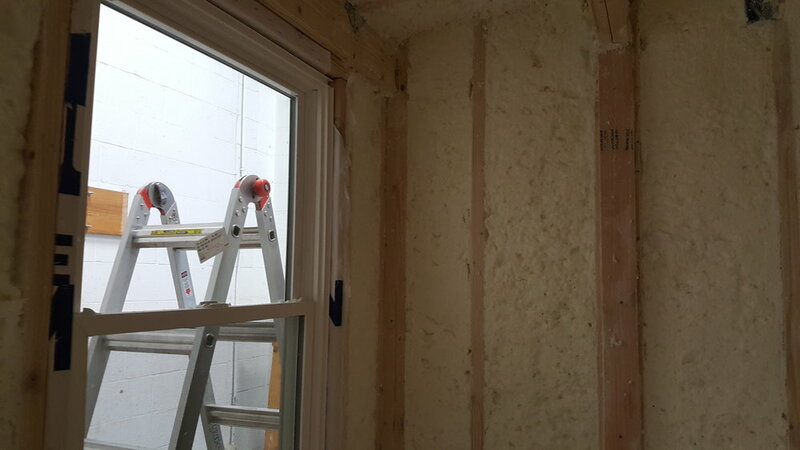 MARCH 2017- RESIDENTIAL OPEN CELL Residential open cell spray foam puts a comfort cocoon around your living space while keeping the heat in during the winter and out during the summer. 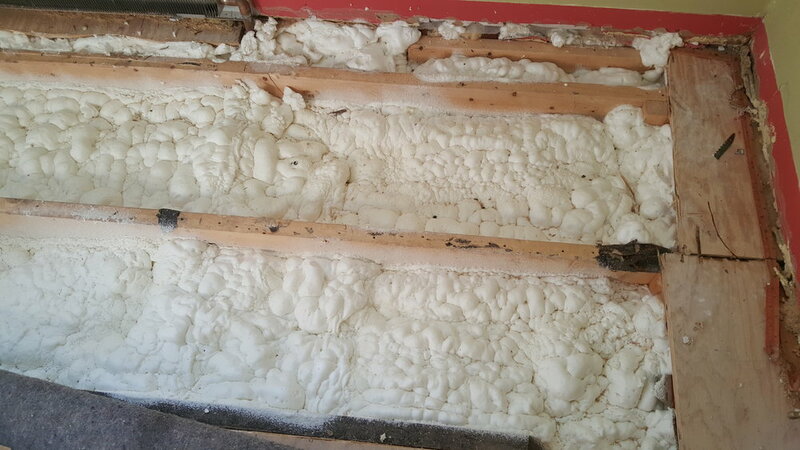 We ONLY use the best spray foam products, combined with the best technicians and we can beat those costly bills! 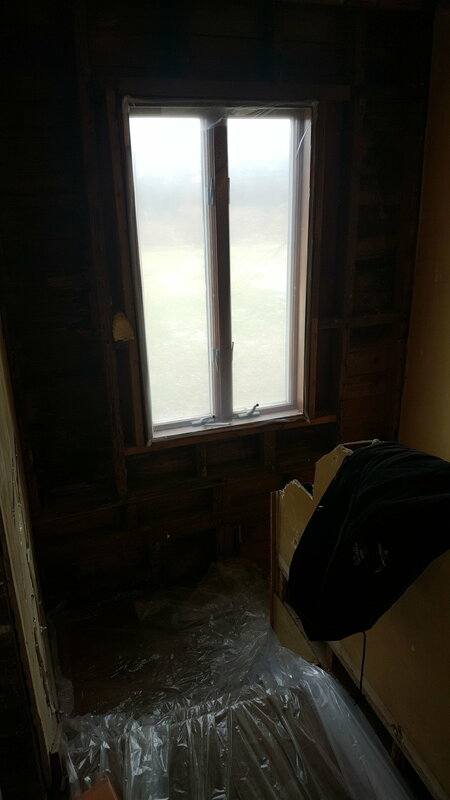 MARCH 2017- RESIDENTIAL OPEN CELL What a cool little place! 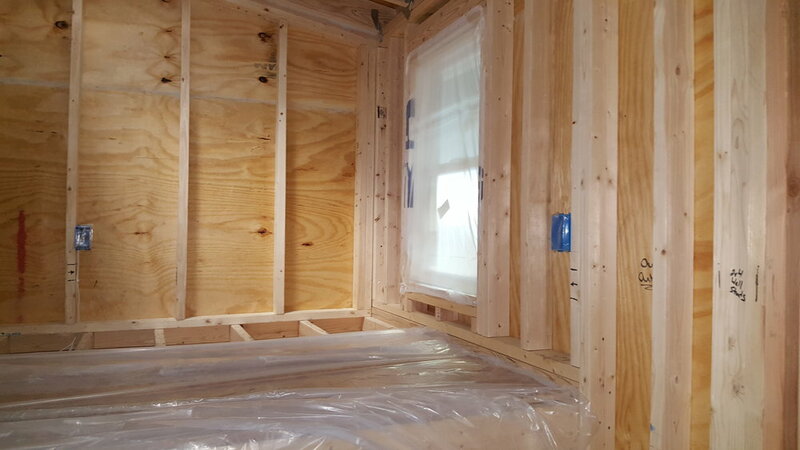 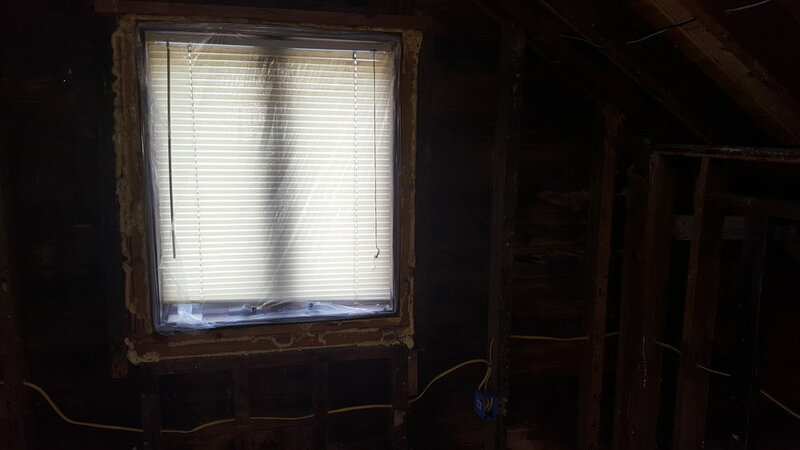 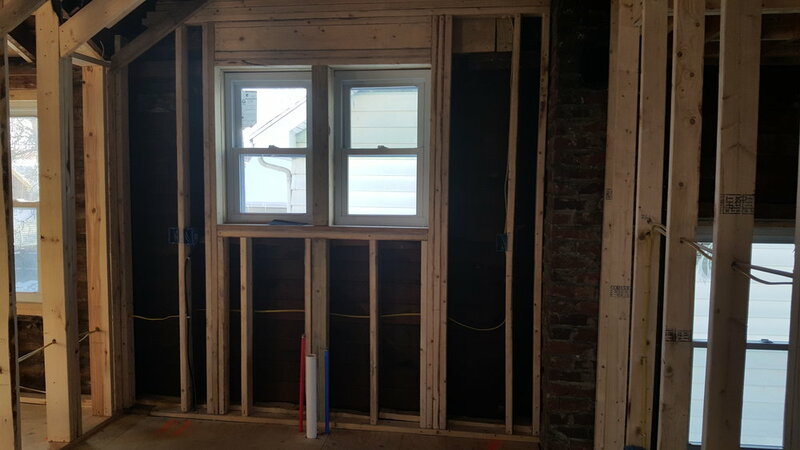 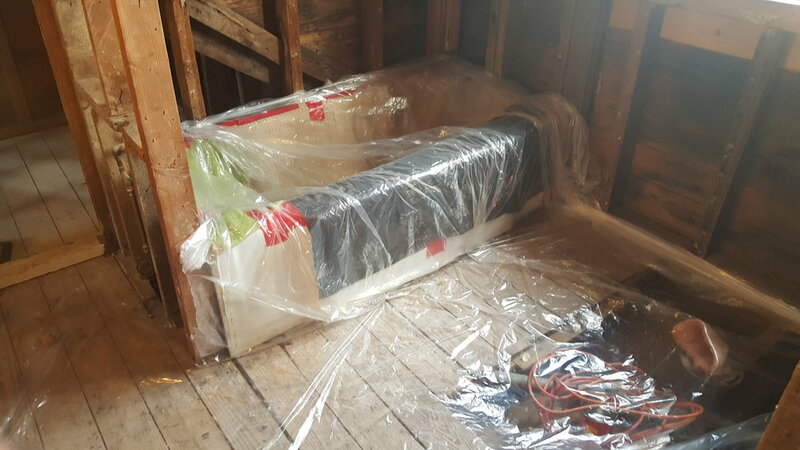 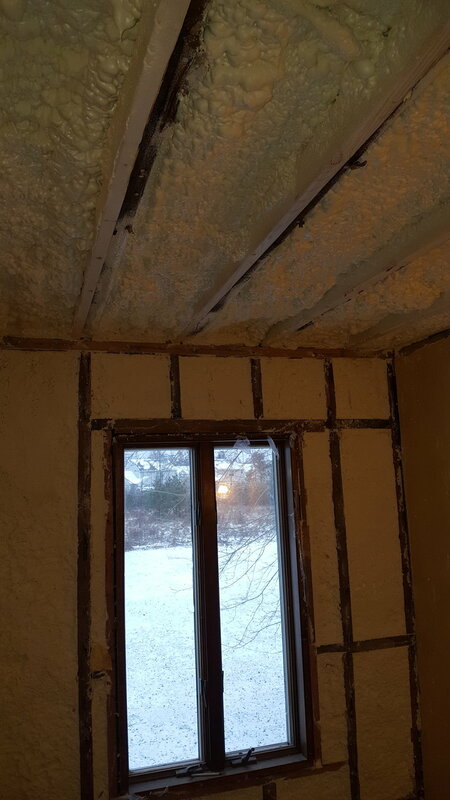 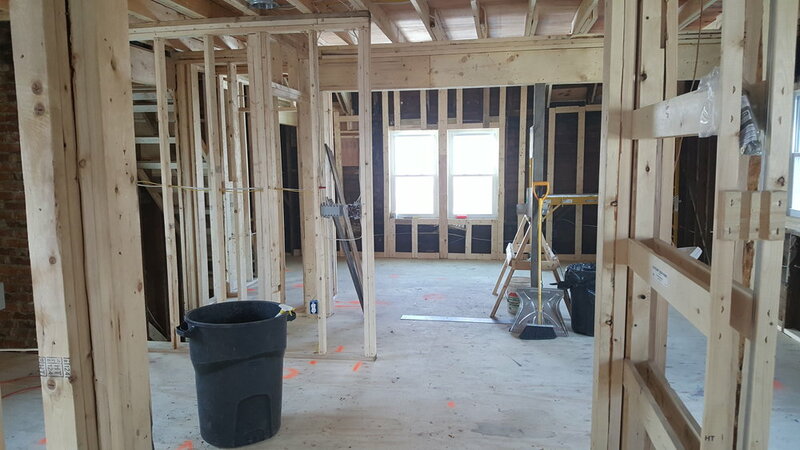 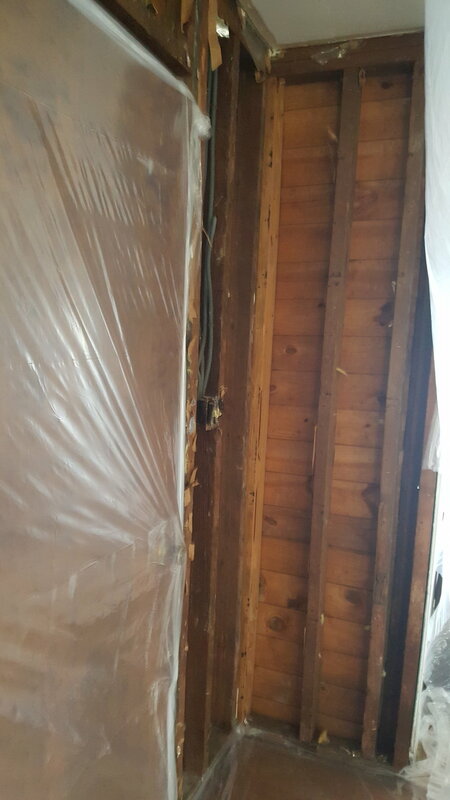 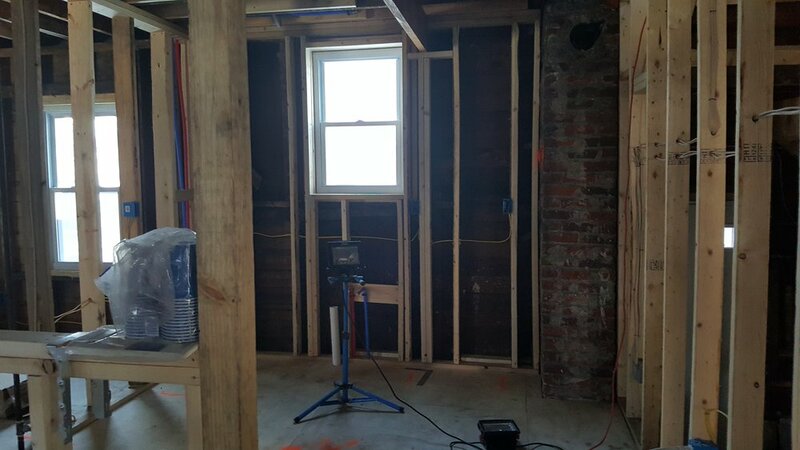 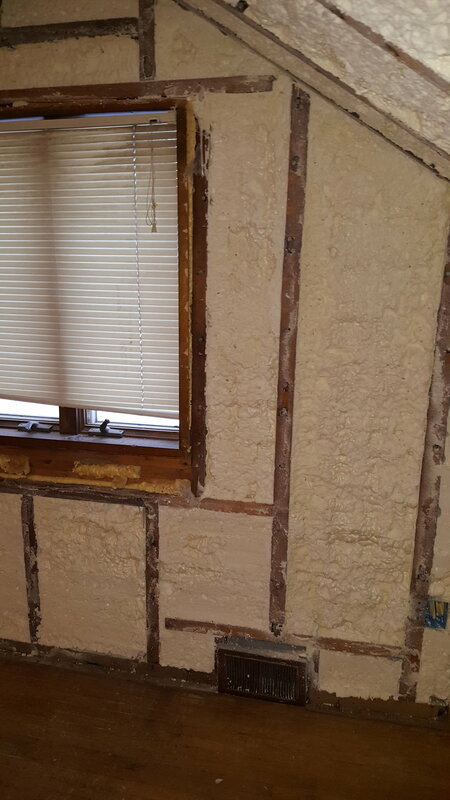 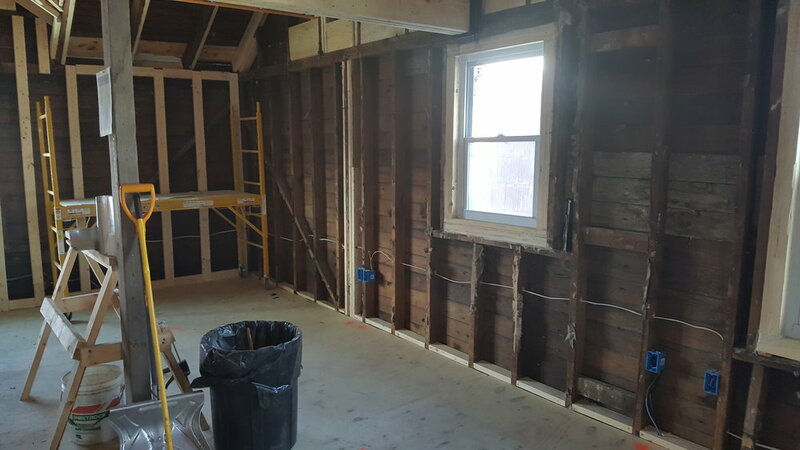 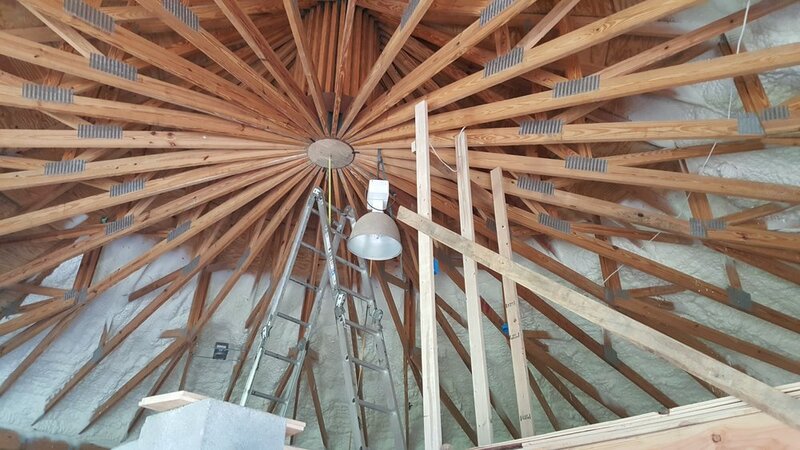 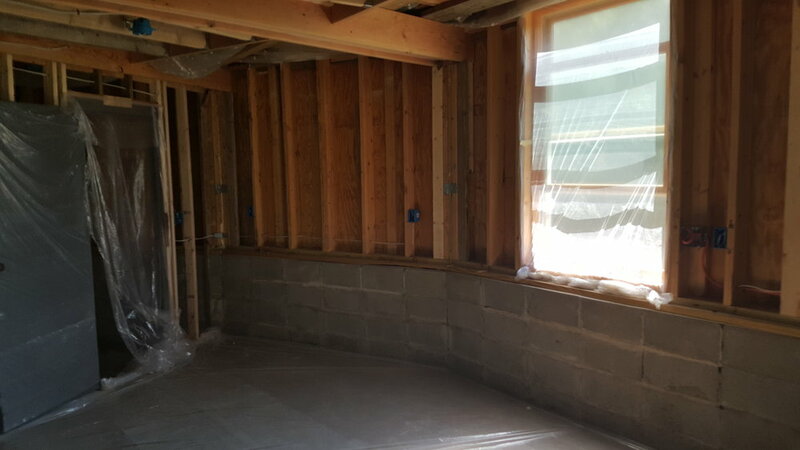 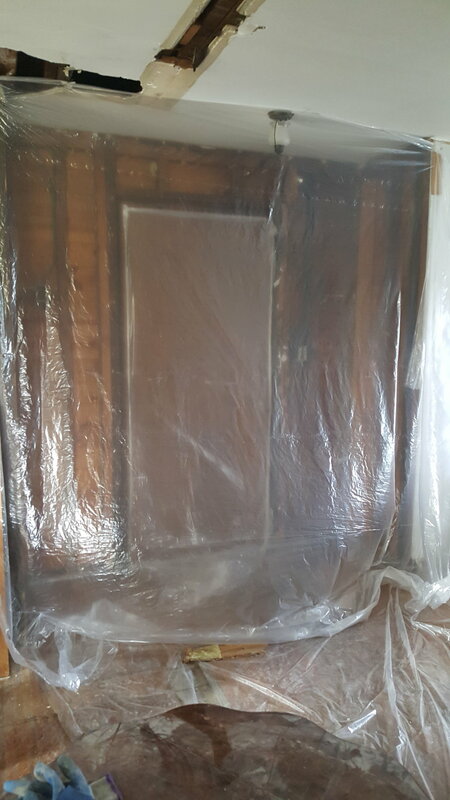 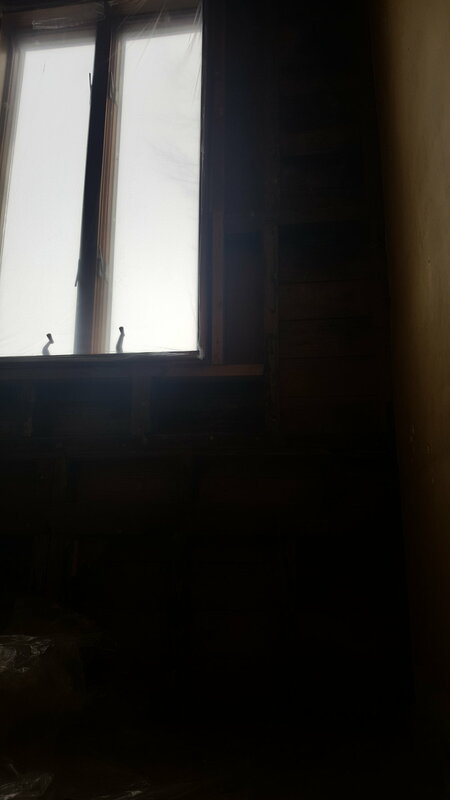 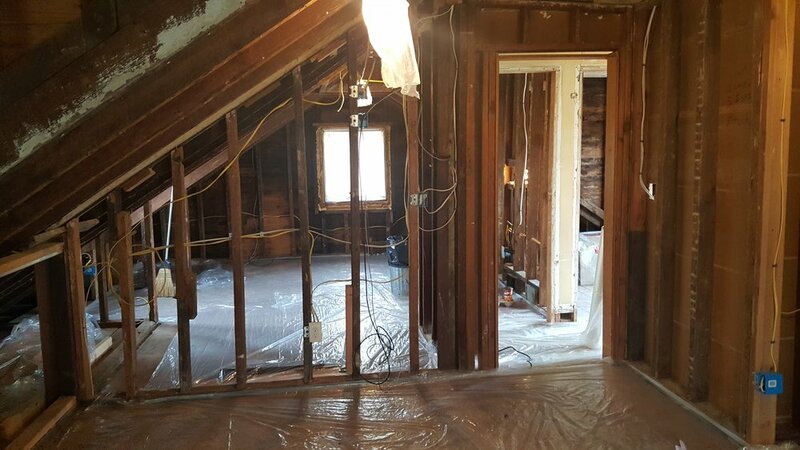 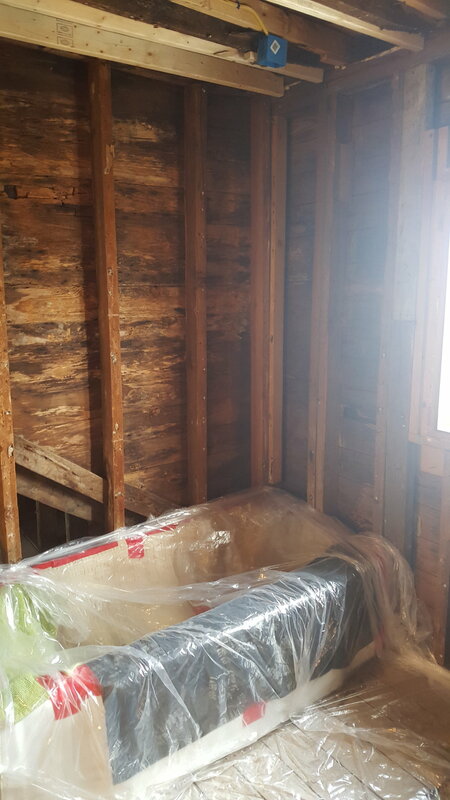 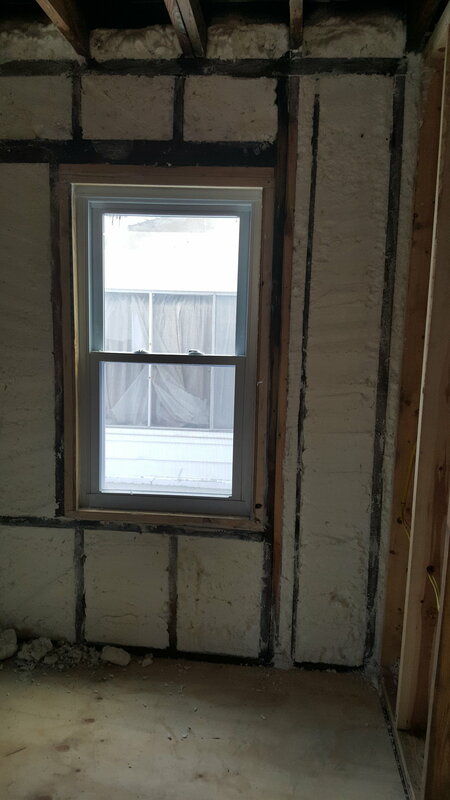 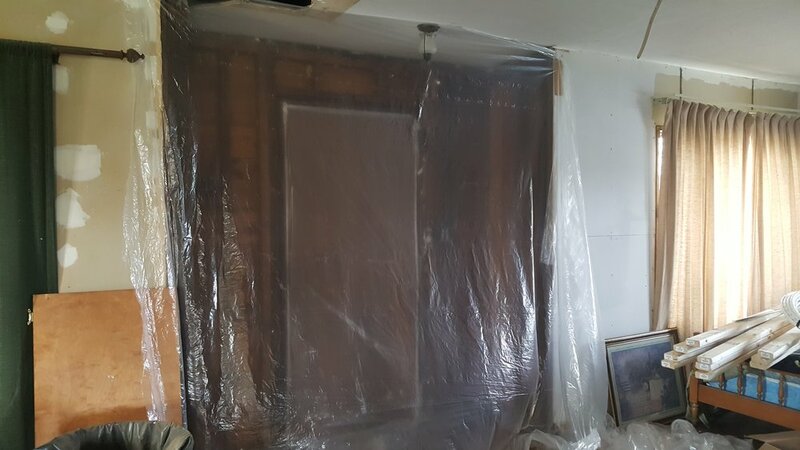 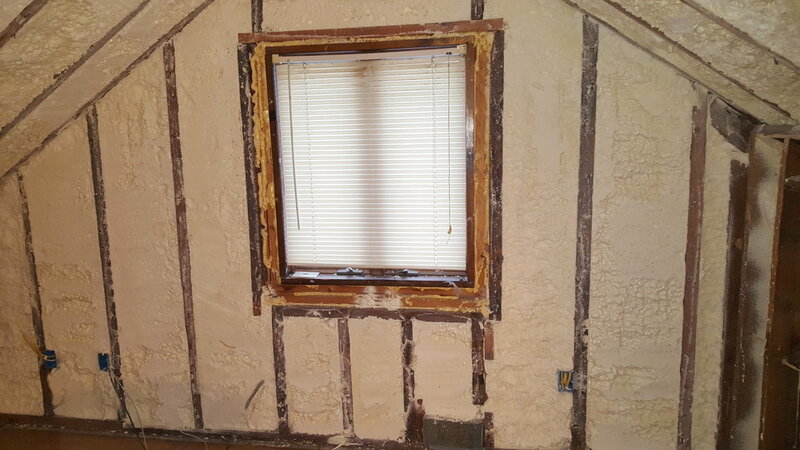 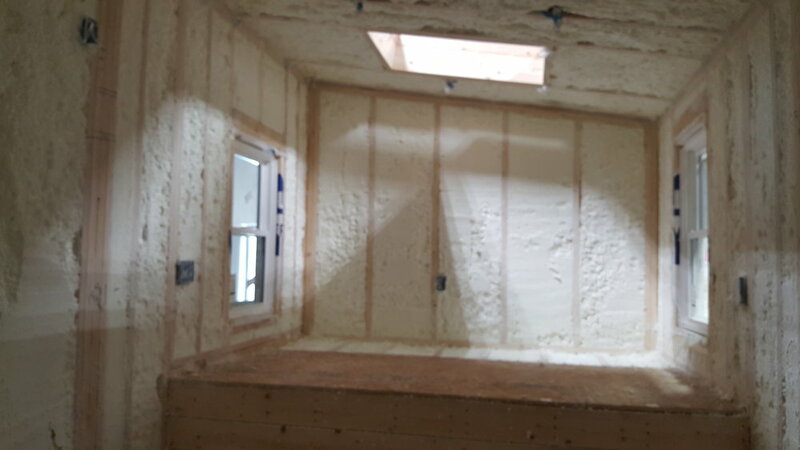 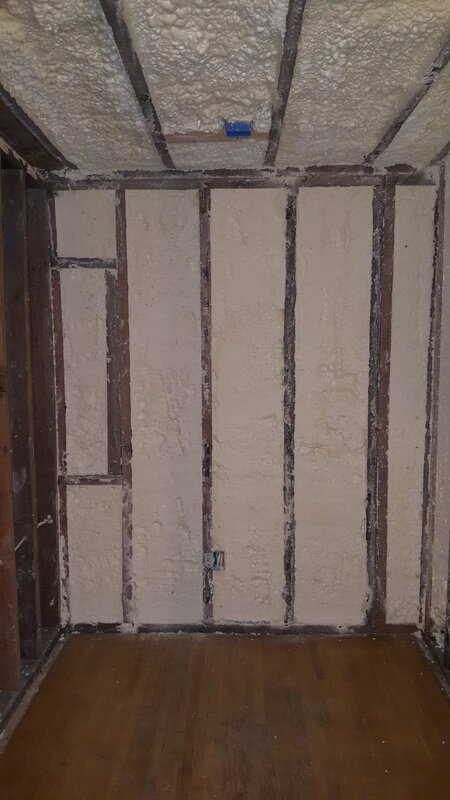 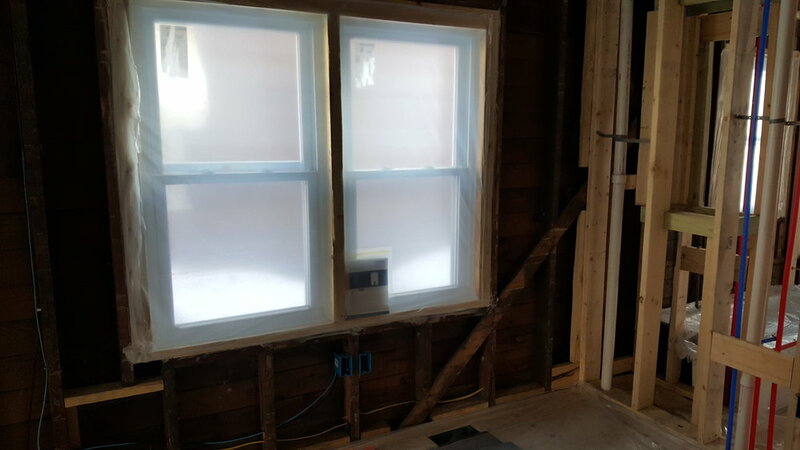 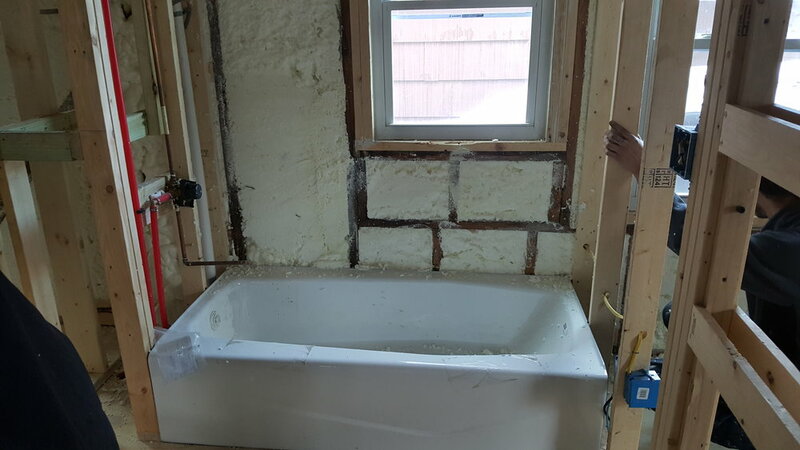 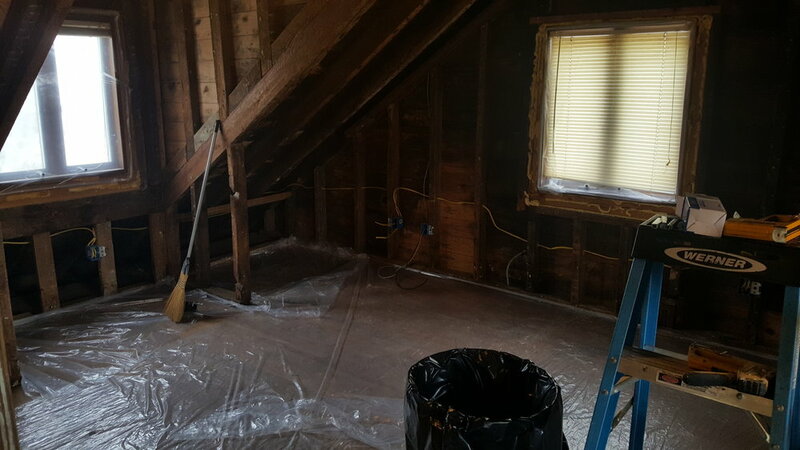 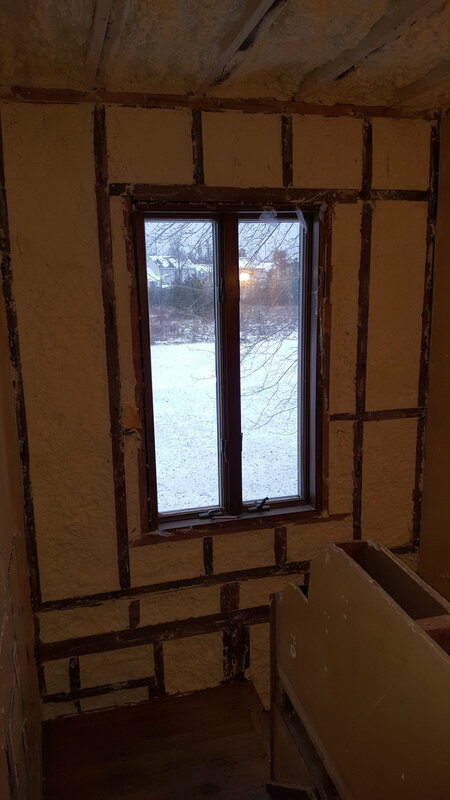 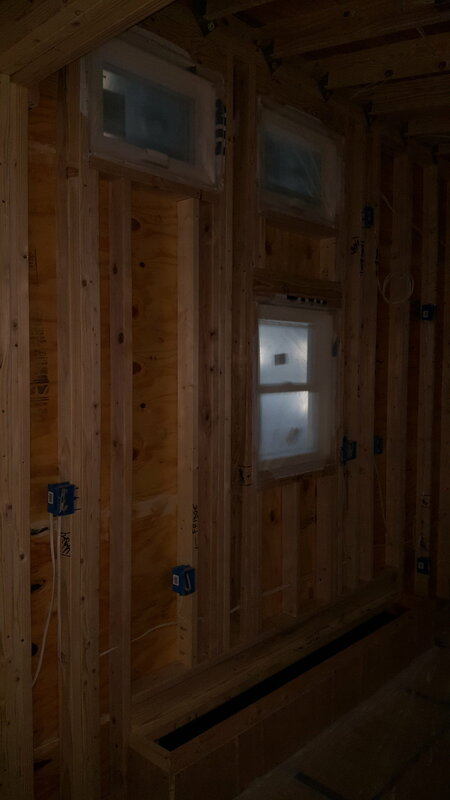 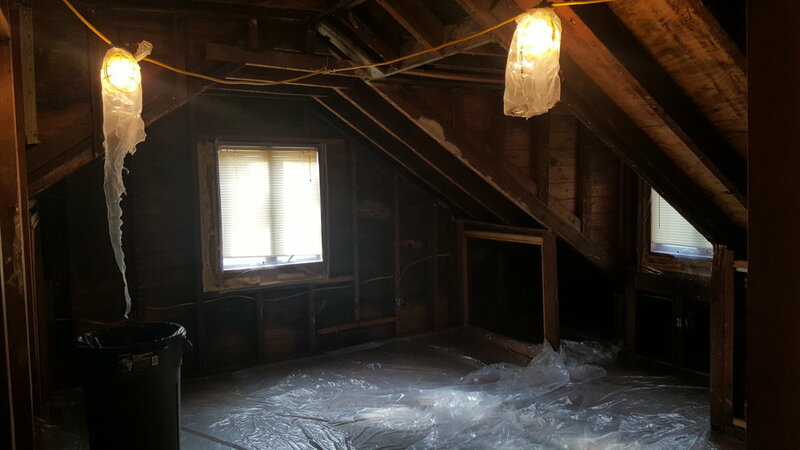 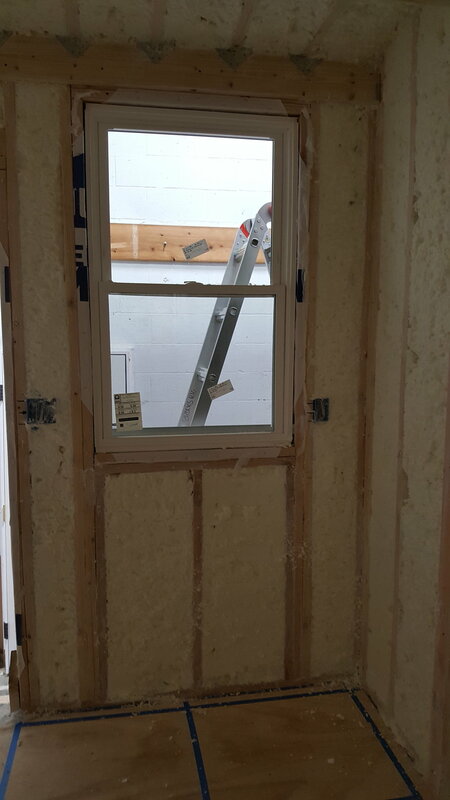 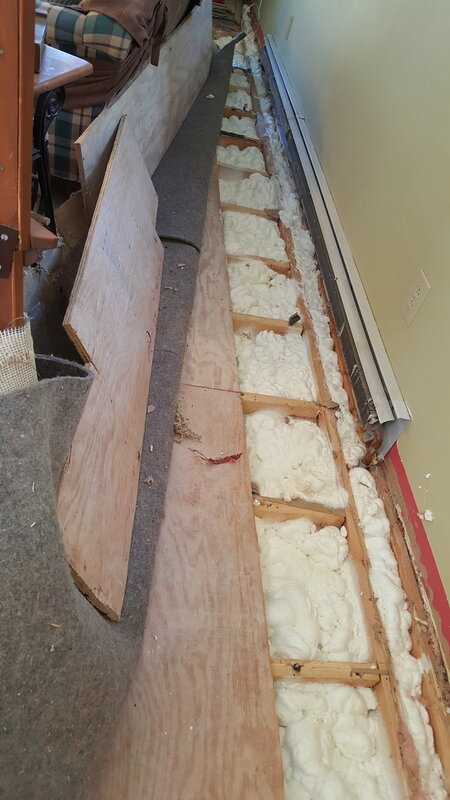 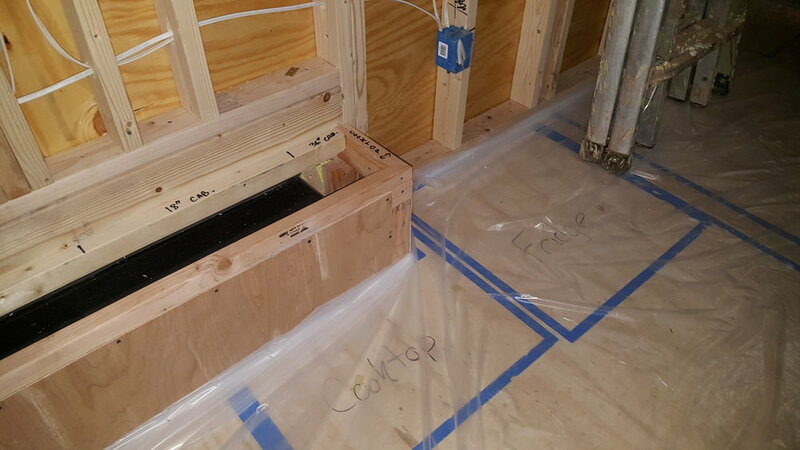 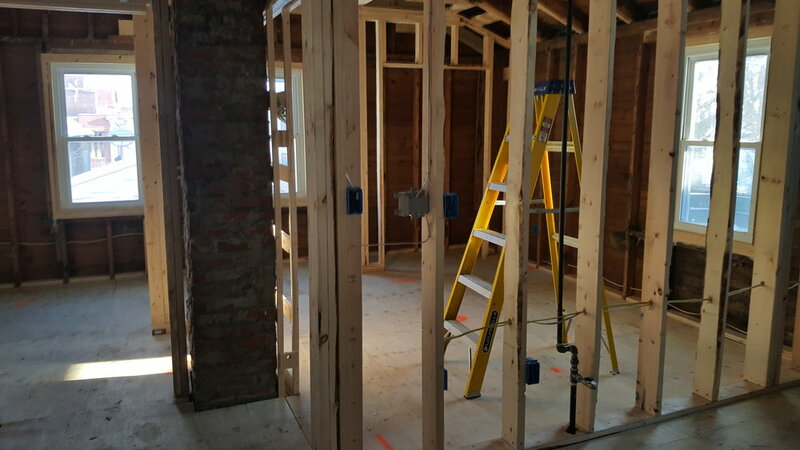 We recently finished up a Residential Open Cell Spray Foam job in a TINY HOME! 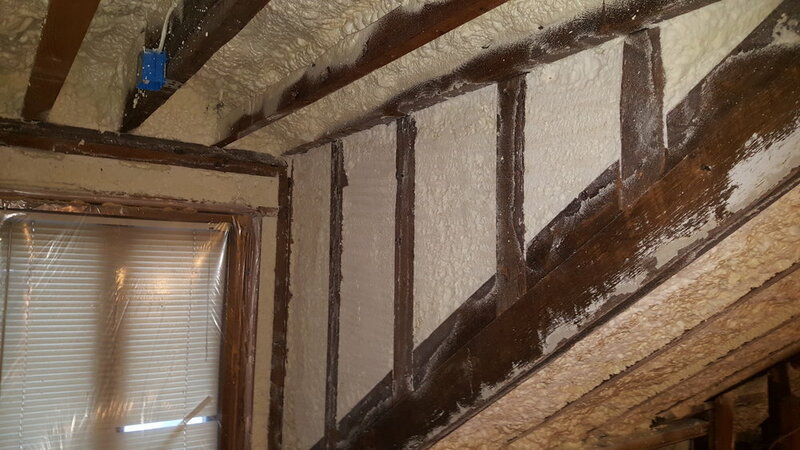 Residential open cell spray foam puts a comfort cocoon around your living space while keeping the heat in during the winter and out during the summer. 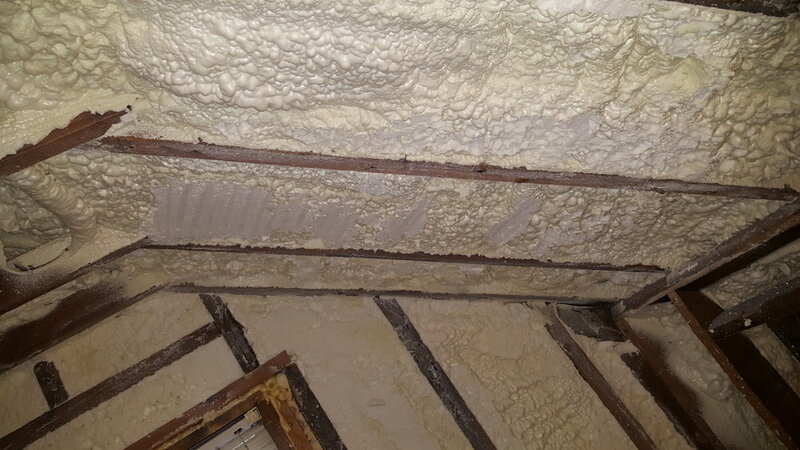 We ONLY use the best spray foam products, combined with the best technicians and we can beat those costly bills! 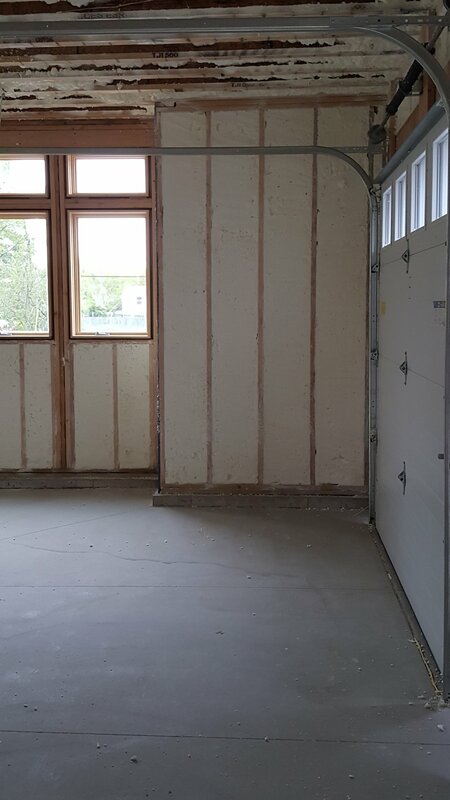 MAY 2017 - RESIDENTIAL OPEN CELL This spray foam job was done for a brand new custom home built on a lake in the area! 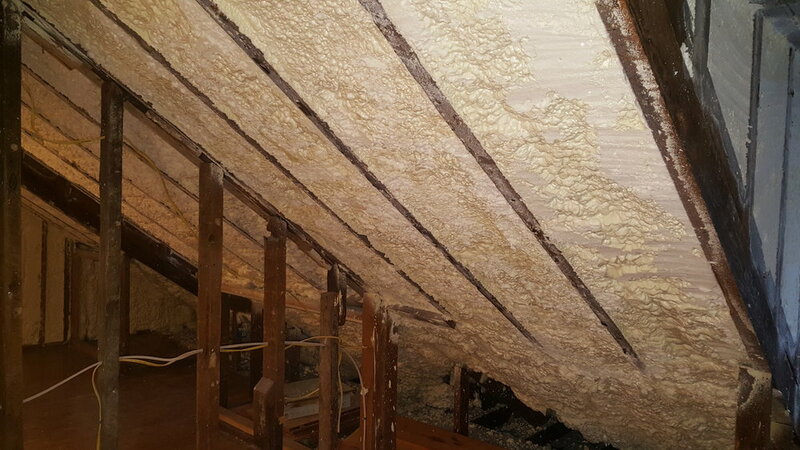 Residential open cell spray foam puts a comfort cocoon around your living space while keeping the heat in during the winter and out during the summer. 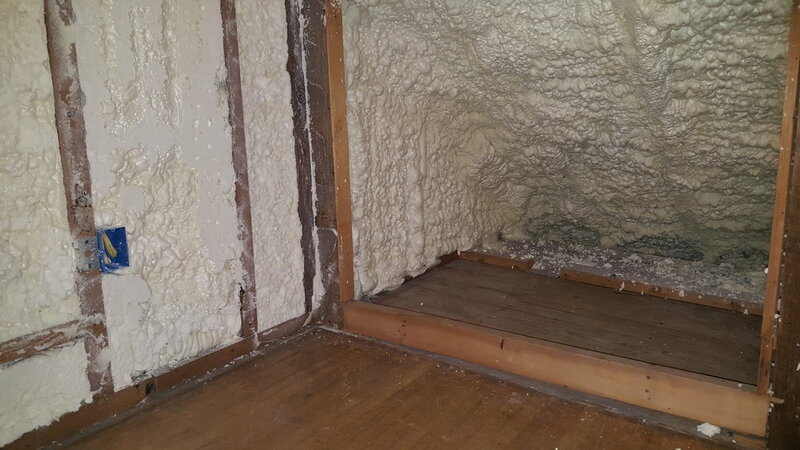 We ONLY use the best spray foam products, combined with the best technicians and we can beat those costly bills! 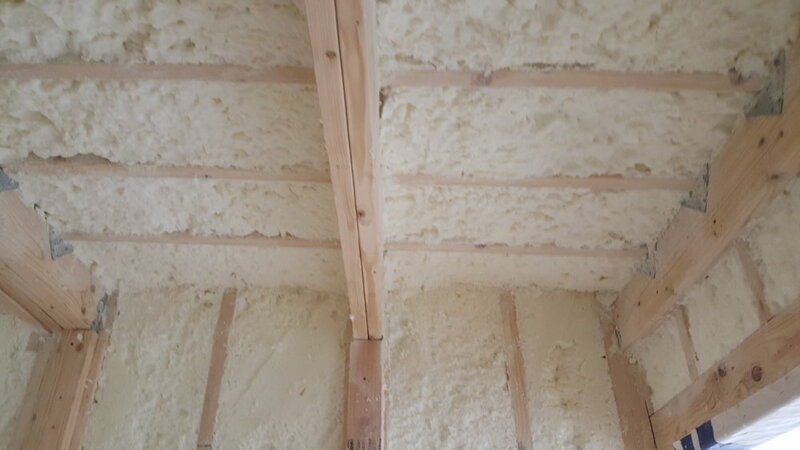 AUGUST 2017 - RESIDENTIAL OPEN CELL This spray foam job was done for a brand new custom home built on a lake in the area! 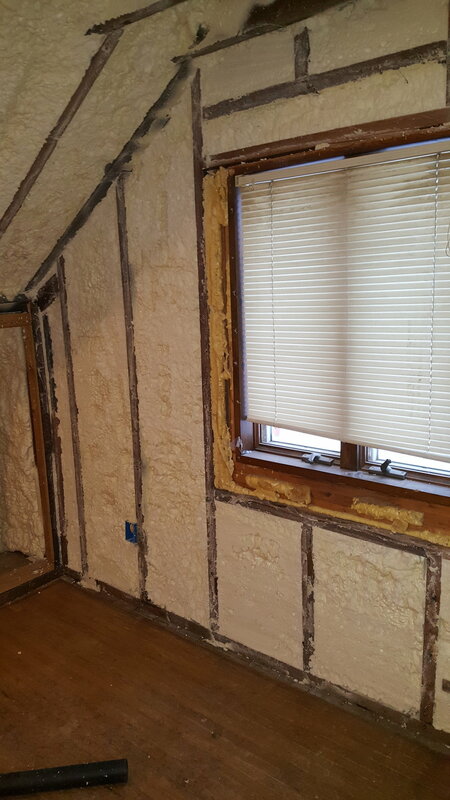 Residential open cell spray foam puts a comfort cocoon around your living space while keeping the heat in during the winter and out during the summer. 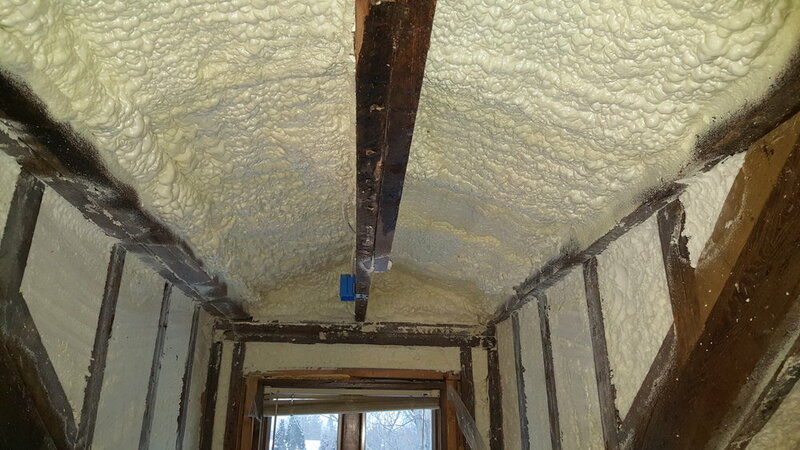 We ONLY use the best spray foam products, combined with the best technicians and we can beat those costly bills! 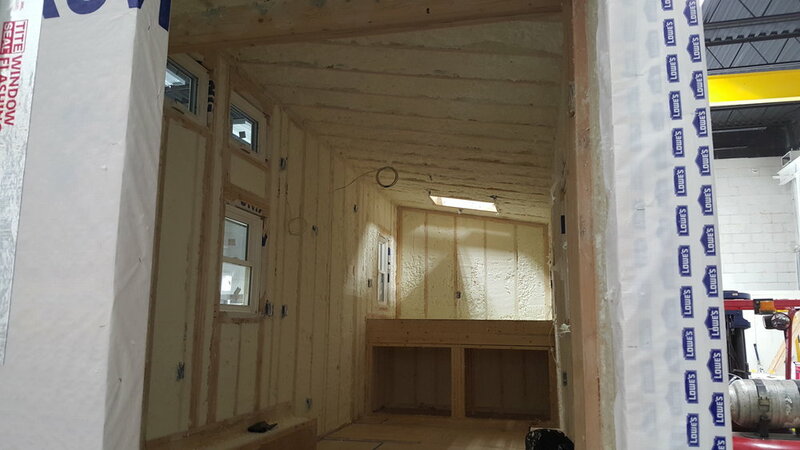 Residential open cell spray foam puts a structural high performance air sealing thermal break between YOU and the elements! 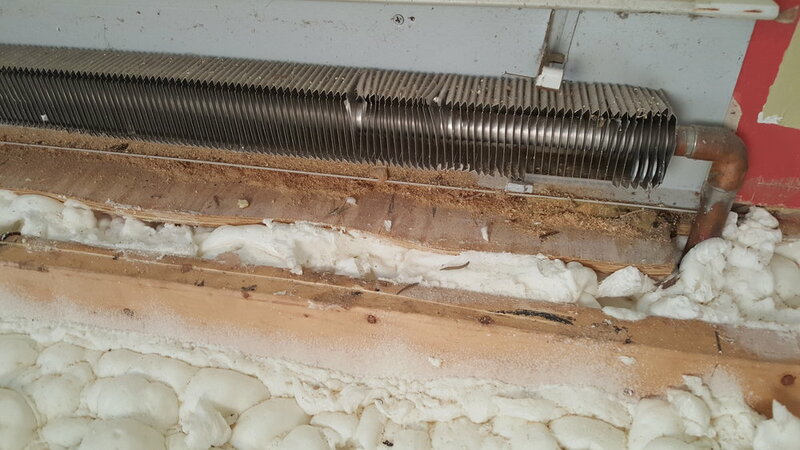 Keeps unconditioned air from leaking in, conditioned air from leaking out and prevents drafts within the structure. 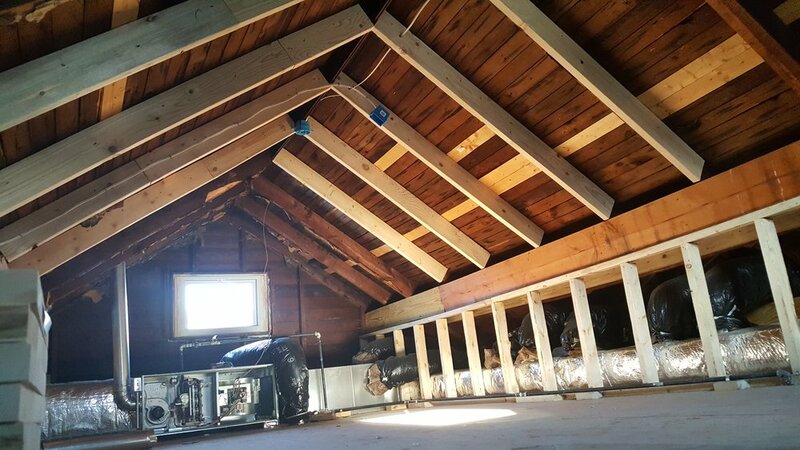 Today, it is estimated that in residential and small commercial buildings over 50% of the energy loss is associated with heat transfer and air leakage through building ever lope components. 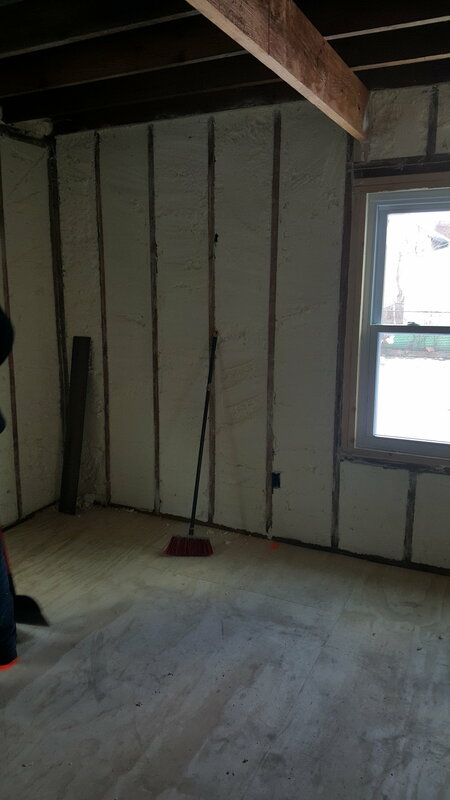 Keeps the heat in during the winter and the heat out during the summer. 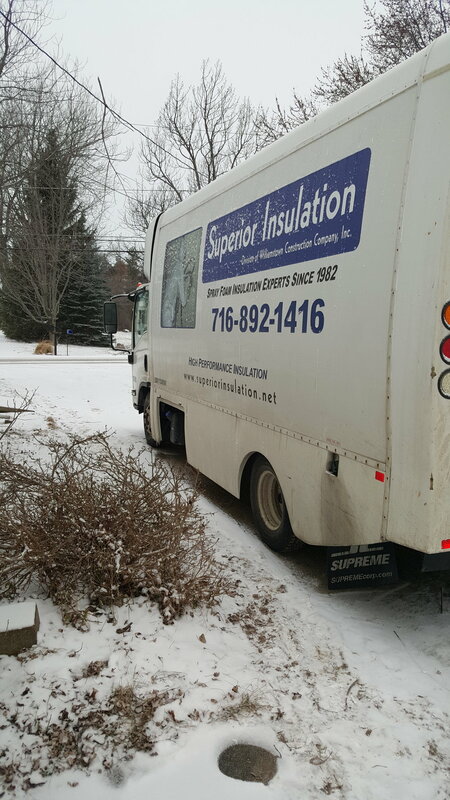 All while maintaining uniform temperatures. 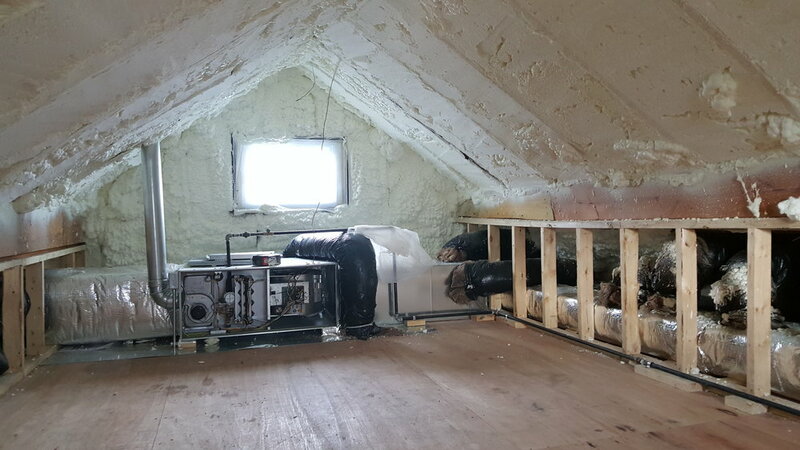 Heating and cooling account for 50-70% of the energy used in the average American home. 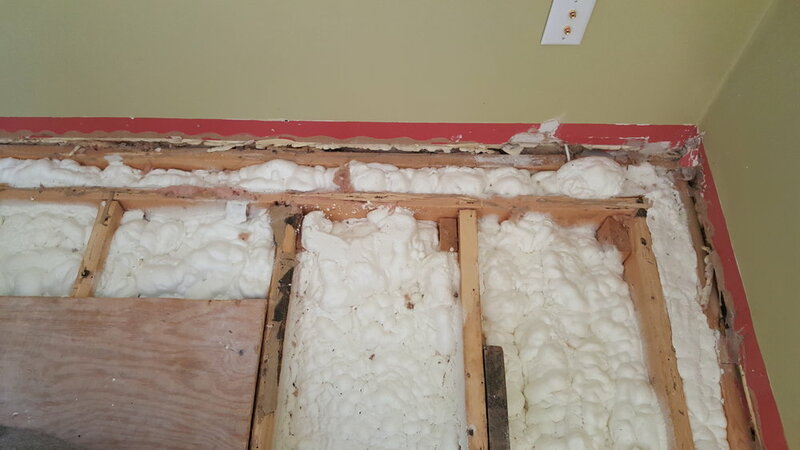 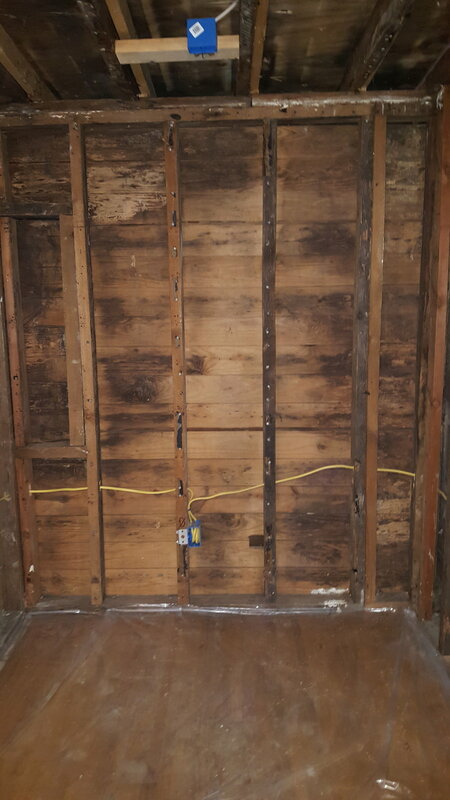 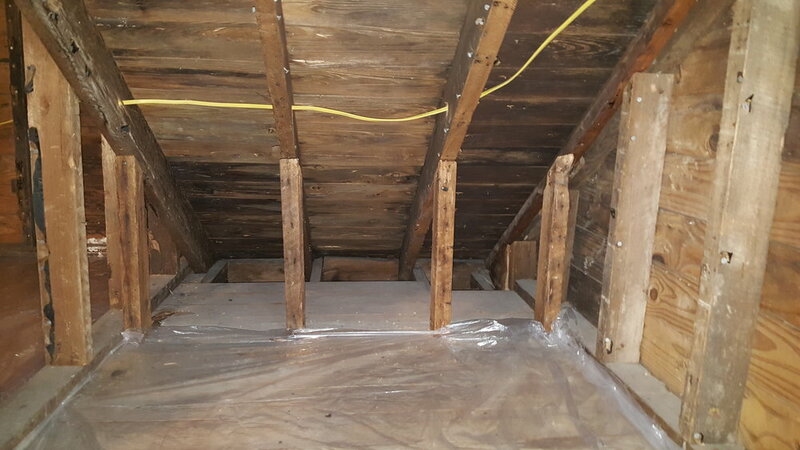 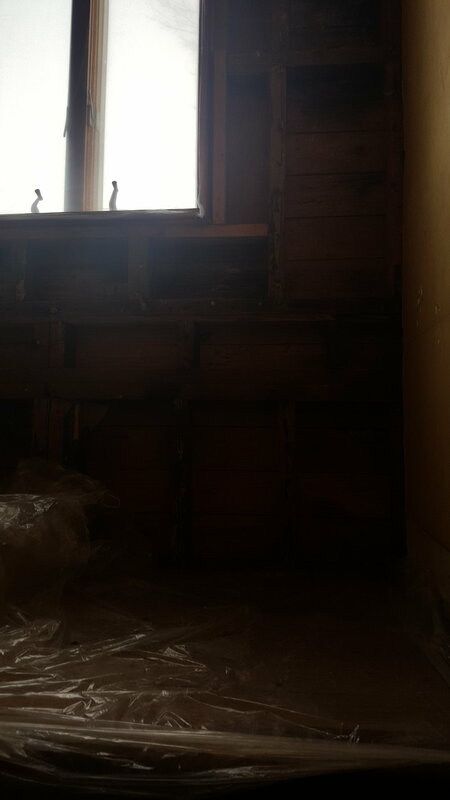 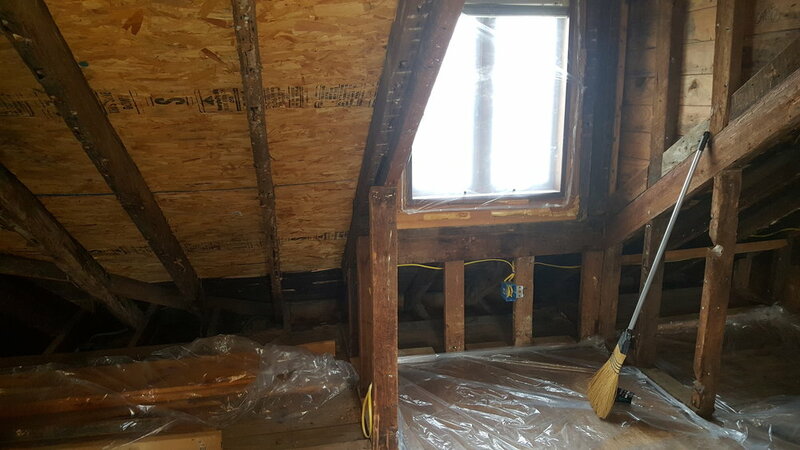 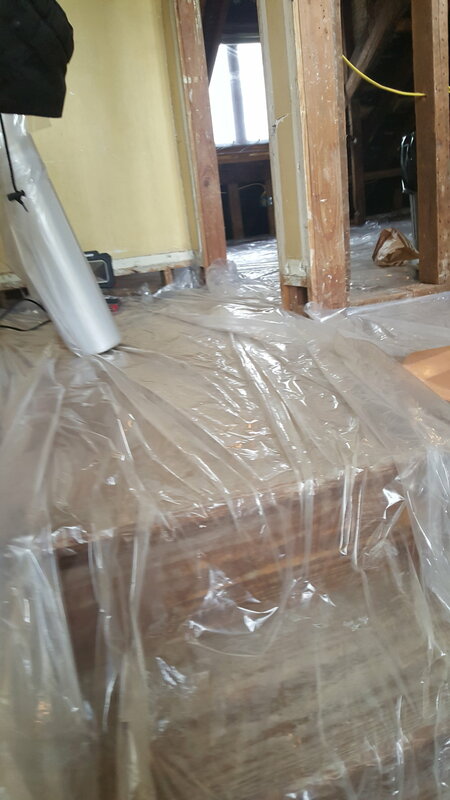 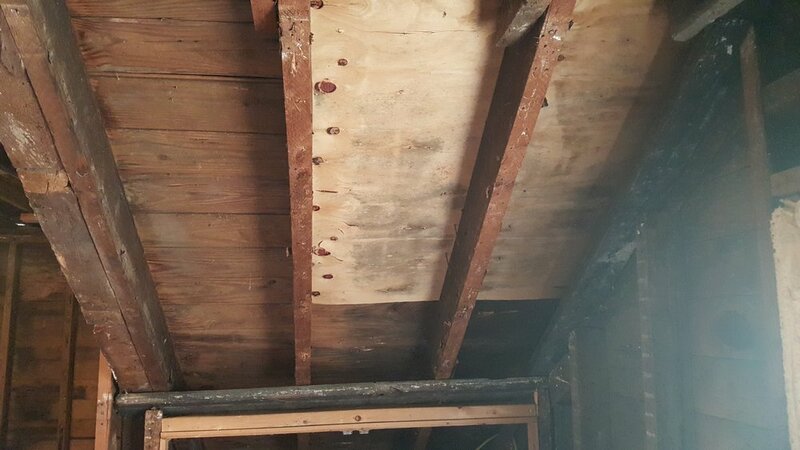 Of all environmental conditions, moisture poses the biggest threat to structural integrity and durability. 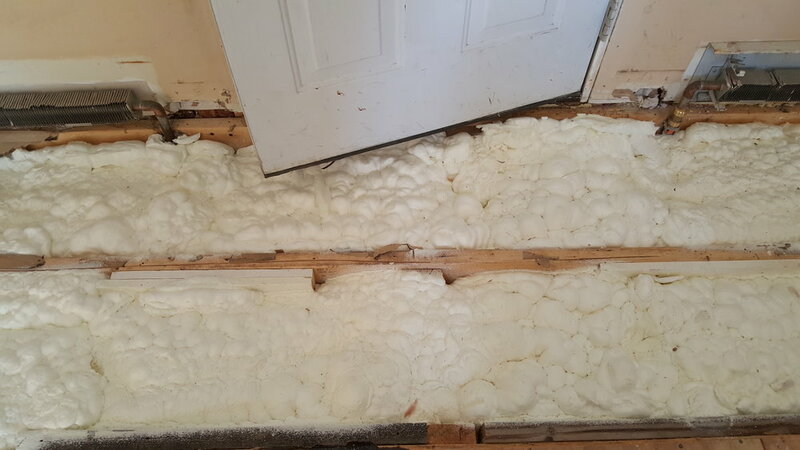 It accounts for up to 89% of damage in building envelopes.